Fresh, delicious, bakery fresh artisan bread is one of my absolute favorite indulgences. 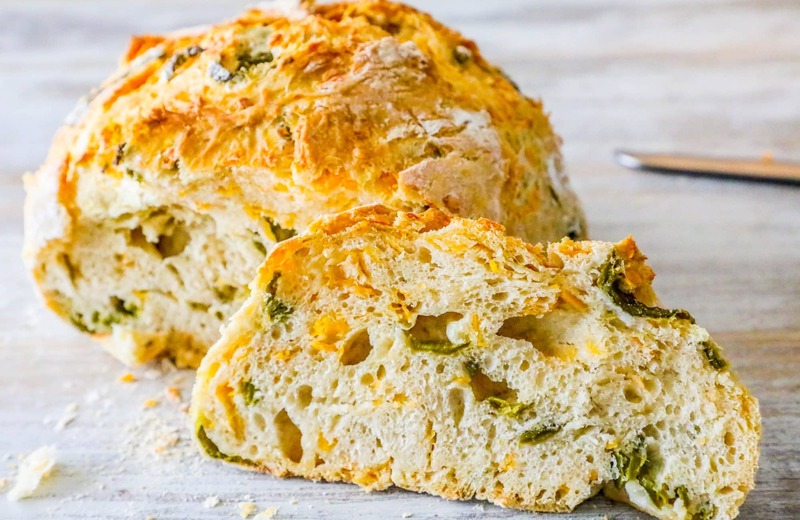 There is nothing better than a crunchy, salty bread that is bursting with flavor – especially one with a rich and spicy kick like this Easy Jalapeno Cheddar Bread. 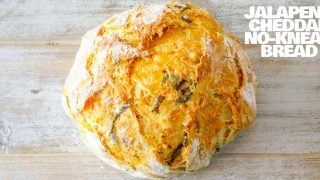 This bread is a spinoff of my popular No Knead Herb Bread recipe that is insanely popular – because it is SO easy and delicious! 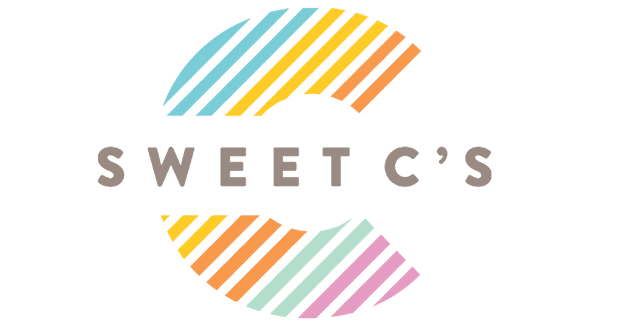 Be sure to check out both recipes and wow your family with them! 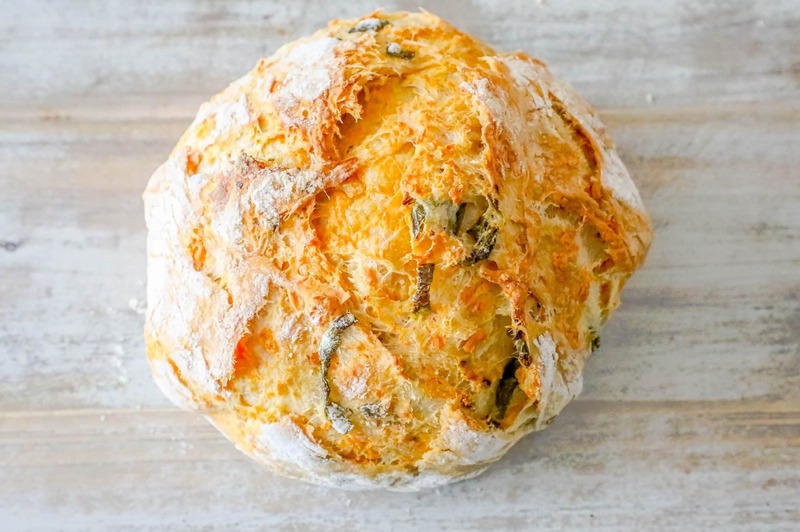 Just Take Me To The Best Easy Jalapeno Cheddar Bread Recipe Already! 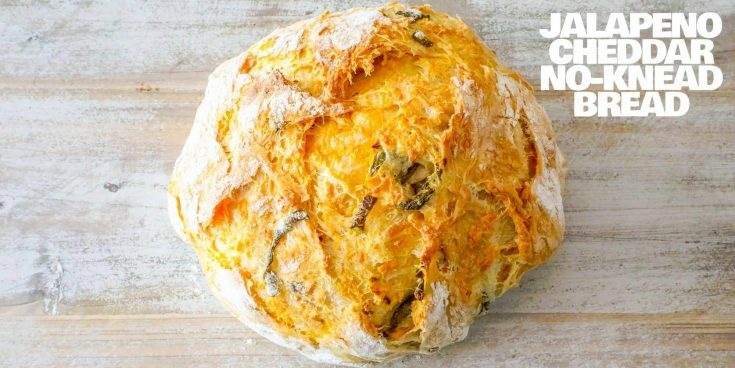 If you’d like to skip my helpful tips and tricks and get straight to this easy jalapeno cheddar bread recipe, please scroll to the bottom of the page, just above the comments. I get a lot of questions and comments on my posts, so I try to provide as much information as possible for my readers. You can make this bread the day before a dinner party or big event if you’d like – simply wrap it up in cellophane tightly before the second rise and refrigerate. When ready, pull out the dough, let it come to room temperature and rise, then punch down to roll into a ball and place into preheated dutch oven. 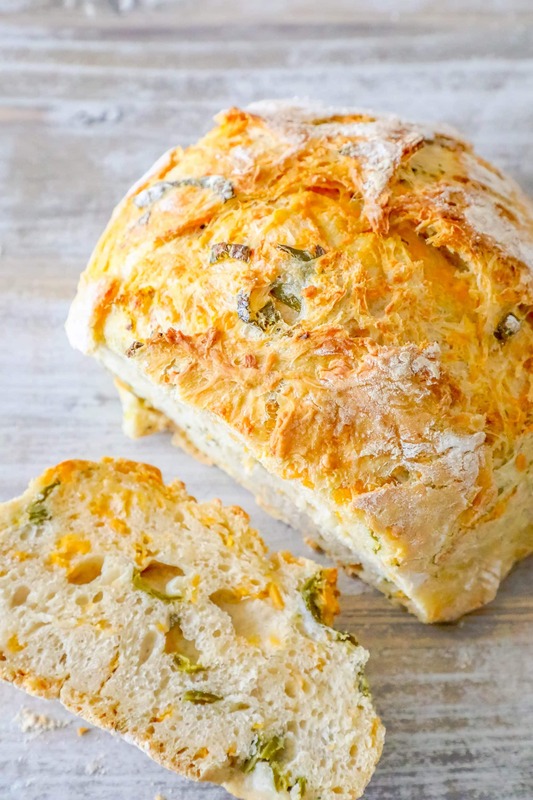 If you love this easy no knead jalapeno cheddar bread recipe as much as I do, please give it a five star review and help me share on facebook and pinterest! Quickly fold in cheese, making sure to incorporate through the dough. Do you use fresh jalapeños or canned? 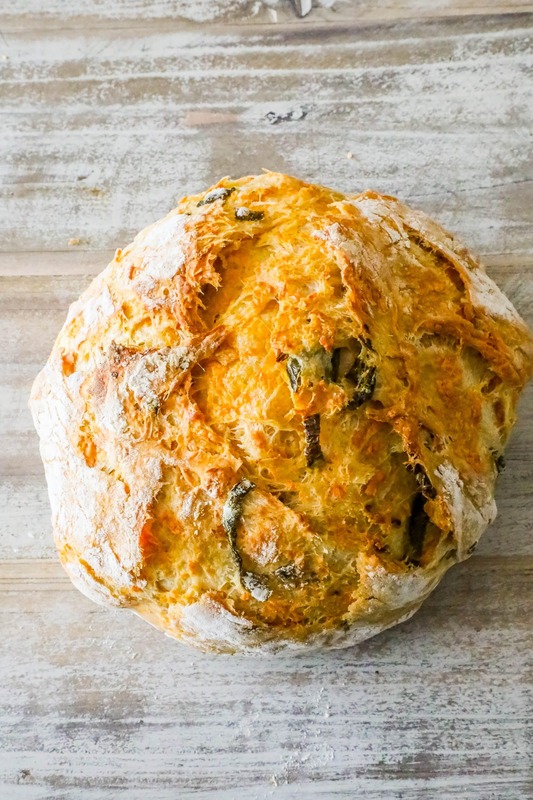 I use canned because I love the flavor in this bread – I think the tartness of pickled jalapanos is perfect in a bread – but fresh work great too.